Short term vs long term strategy: which one pays off? 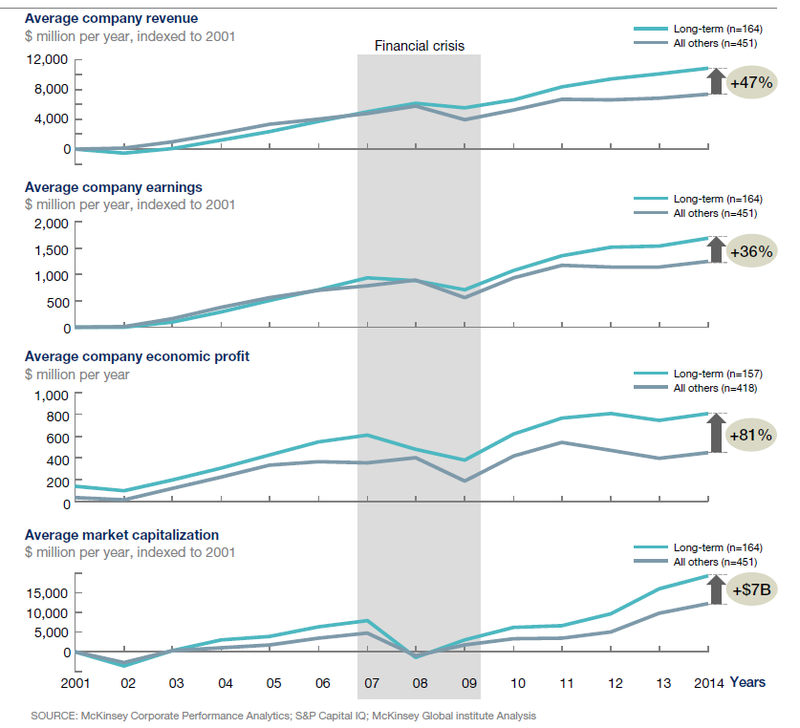 CONTENTS: ‘Corporate Horizon Index’ | The findings | The right metrics? | Why do we buy shares? A personal note | Why is this important? Companies that are listed on the stock market feel the pressure to publish good results each and every quarter. Which can lead to a short term strategy, to fulfill the demands of traders who want a fast return. But is that a good thing? To study the effect of short-termism, MGI researched the results of 615 large and mid-sized US publicly listed companies from 2001 to 2015. 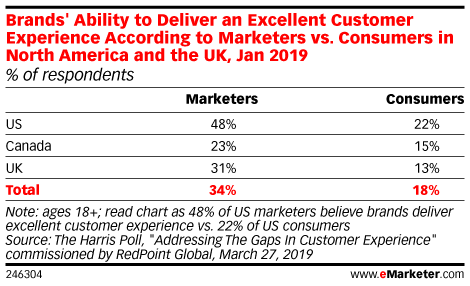 For this goal they created a five-factor ‘Corporate Horizon Index’. 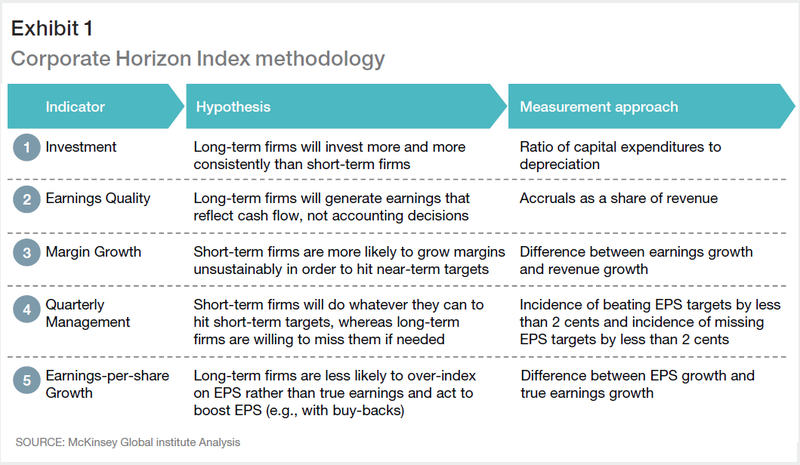 The conclusion of their study is clear: long-term firms outperform short term firms. It pays off to have – and hold – a long term strategy. The revenue grew faster and was less volatile. The investment rate was higher, also during the financial crisis long term companies spent more on R&D than short term companies. Market capitalization was higher, return to shareholders was superior. And also job growth was higher, making it relevant to society as a whole. You can find the full analysis on their website. Although most reactions were very positive, there were some questions about the metrics used. E.g. in an article published by Harvard Business Review. Leaving the discussion about the metrics aside, it has been proven that companies should have a long term strategy to create the most value for their stockholders, but also for society (jobs). And this conflicts with the daily realities of the stock market: what is the value of flash trading? Except of proving who has the smartest ‘quant’? Essentially flash trading is a zero sum game: it does not create real value. It’s closer to legalized gambling than to investing in the future of companies, in the future of the employees of those companies, in the society. In the past I’ve seen how CEOs adjusted their strategy based on the whims of the stock market. Minority stock holders can even hold a company hostage, just for a short term financial gain. But I’ve also seen how private equity companies invest for the long term and provide their ‘brains’ to assist the companies that they invest in. This is the way it should be done: let the clever guys in finance support companies to reach their goals, instead of trying to outsmart another clever guy in finance. The reason why you buy a share of a company should be the fact that you believe in that company, in the future of that company. And that will not change within the next 3 milliseconds. Nor the next quarter. Not even the next year. In my opinion it would be a very good idea to set a minimum time between the purchase and the sale of shares. E.g. 1 year, or even 2 years. That way all companies can focus on the long term strategy, not on the whims of the professional stock traders and algorithms. 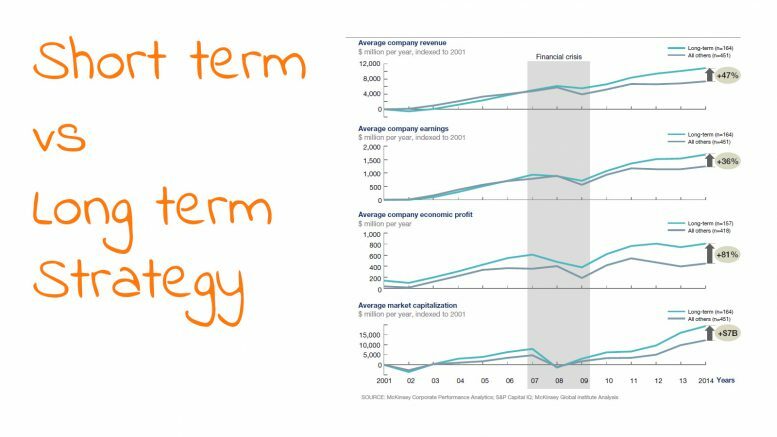 The research shows that it pays to have a long term strategy. And not only for shareholders, also society benefits: more jobs will give more people a better life, a better future. This study might help CEOs to convince shareholders, investors not to be myopic, not to push the company to short term gains while neglecting the long term strategy. Be the first to comment on "Short term vs long term strategy: which one pays off?"